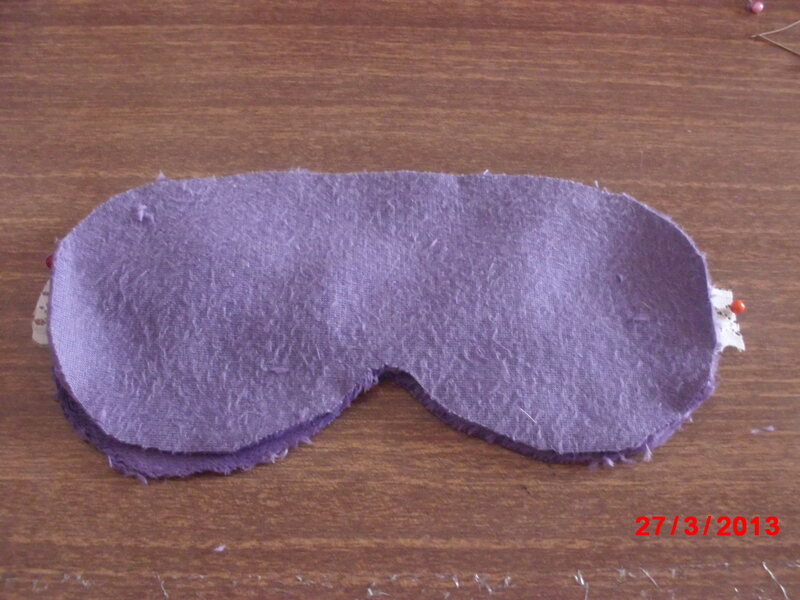 You will need to cut 2 eye masks out of chosen fabric. 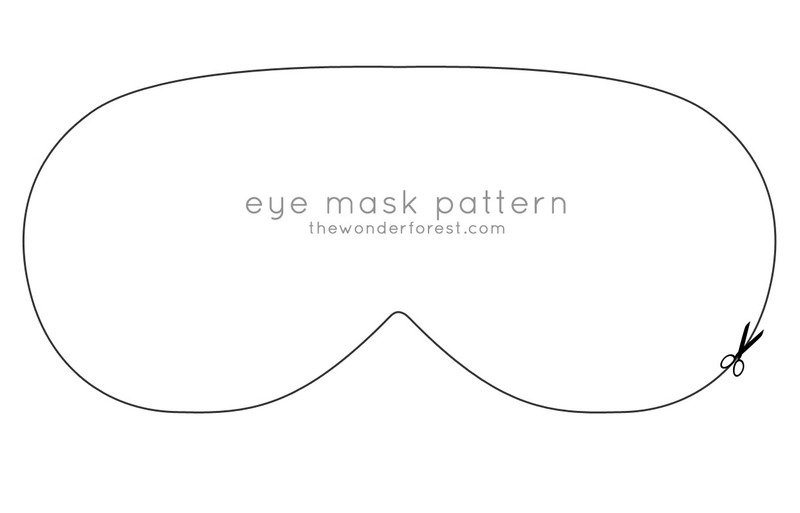 I used minky & this is the pattern I used slightly enlarged. 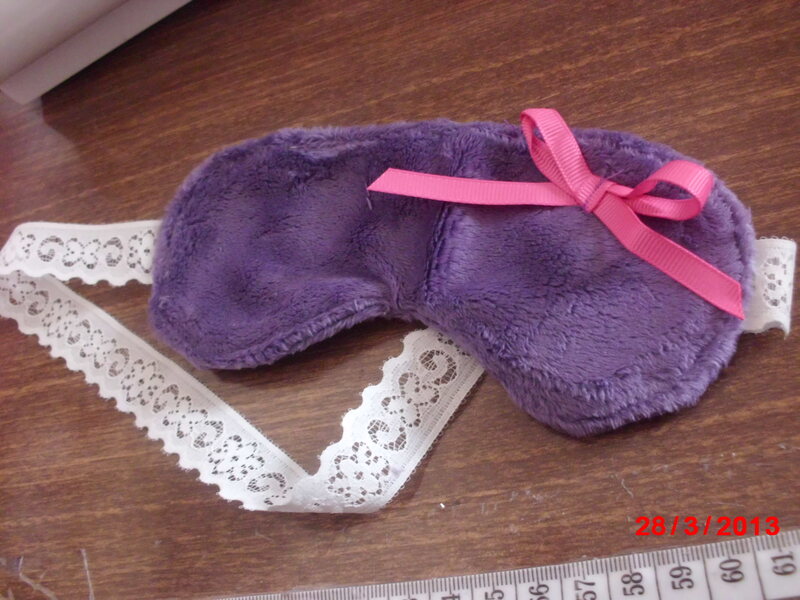 Next I measured the lace against my head & added 1 cm either end. You will need stretch lace for this. 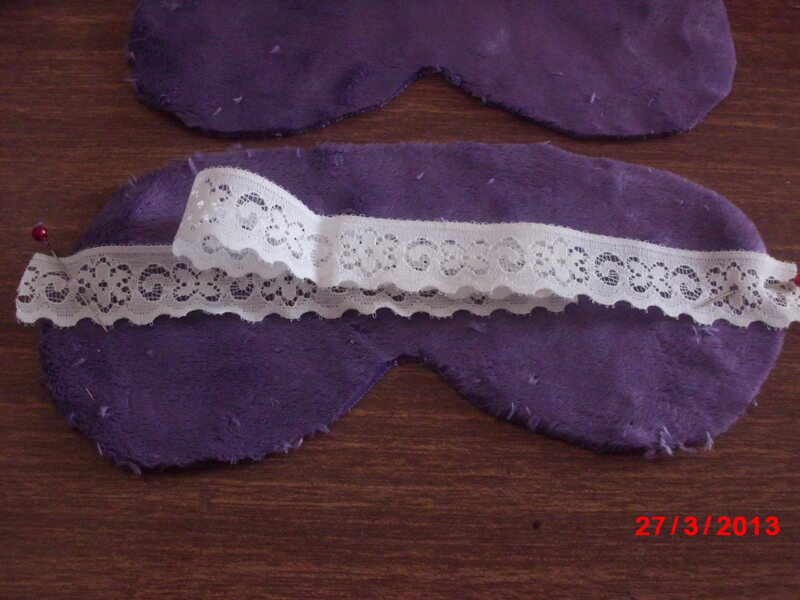 Pin your lace to the right side of 1 mask piece. 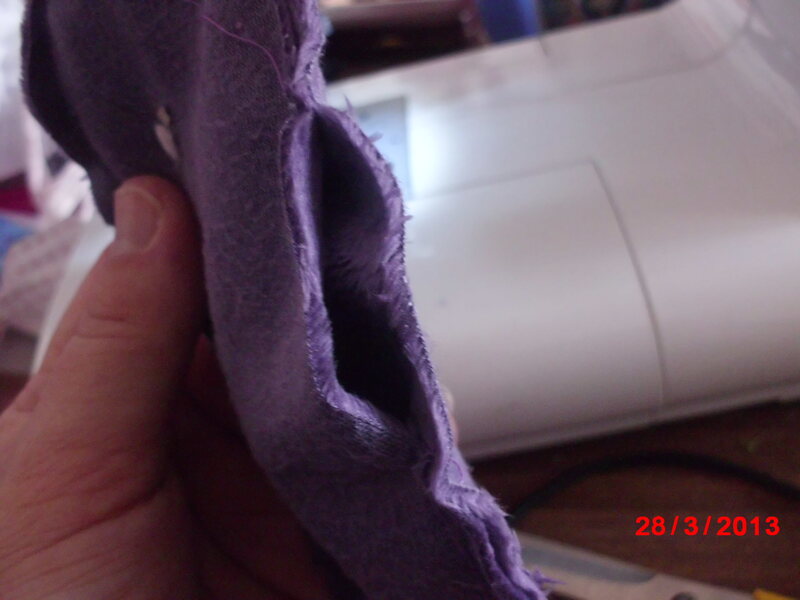 make sure sticks out about 1 cm past edge of fabric. 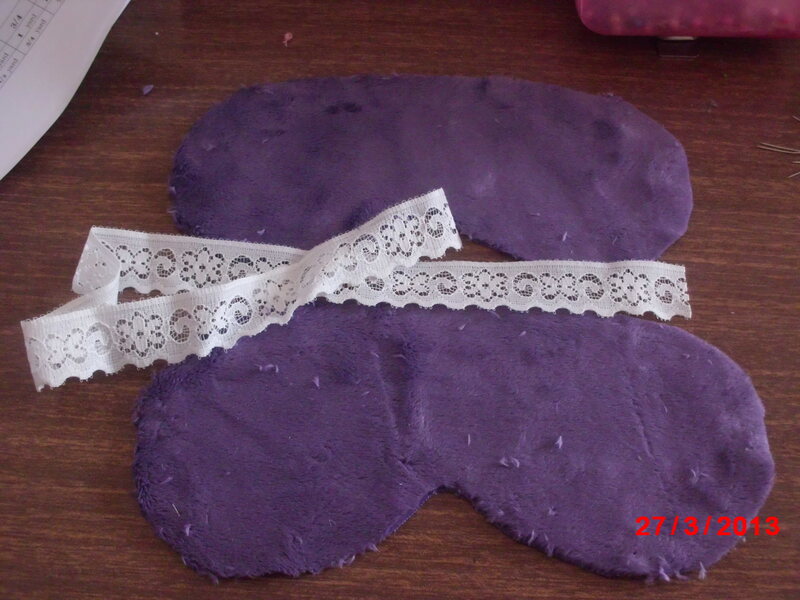 Over lay the other pattern piece so right sides are together (furry, nice part) making sure lace is inside the two. Pin in place ensuring lace doesn’t get caught where you will sew. 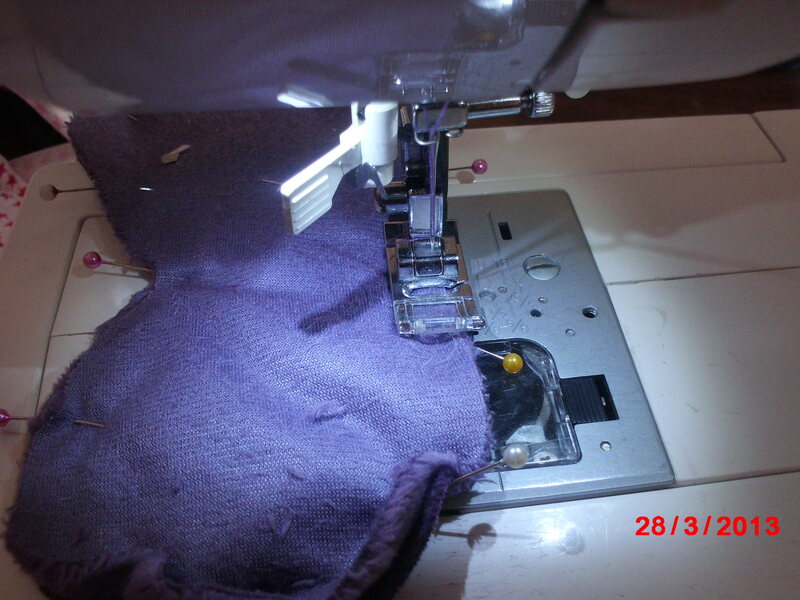 Sew all around stopping before get to start point to create a gap as shown. 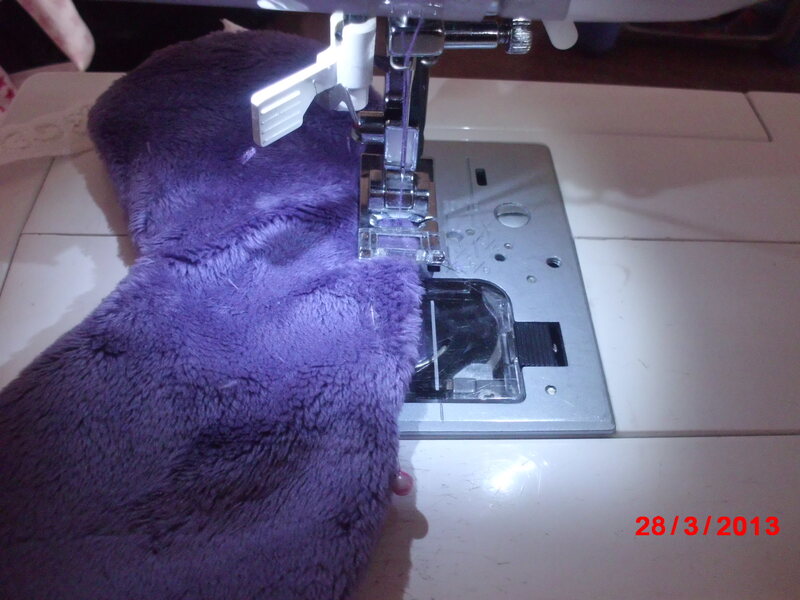 Turn out the right way making sure all the curves are pushed out & top stitch. I added a nice bow to mine. You can use the smallest scraps of fabric for this & any fabric will do.